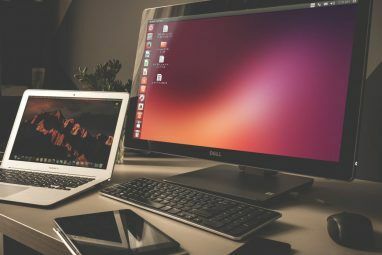 Ubuntu is widely regarded as a beginner friendly version of Linux The Best Linux Distros for First Time Switchers From Windows and Mac The Best Linux Distros for First Time Switchers From Windows and Mac Linux has an intimidating image, making it seem like it would be difficult to start using it. 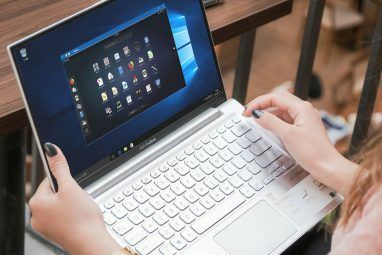 But the switch from Windows and Mac is actually pretty easy, if you can ease yourself into it. Read More , but that doesn’t mean that Ubuntu is only used by beginners. Advanced users can also make use of some of the great features Ubuntu has to offer. If you have used Ubuntu for any length of time, it’s likely that you will have had to use an apt-get command at some point. But did you know there’s so much more to APT than apt-get update and apt-get upgrade? APT stands for Advanced Package Tool, the clue is in the name — it’s a command line tool for managing packages within Ubuntu. Ubuntu is based on another distribution, called Debian Debian vs Ubuntu: How Far Has Ubuntu Come in 10 Years? Debian vs Ubuntu: How Far Has Ubuntu Come in 10 Years? Ubuntu is now 10 years old! 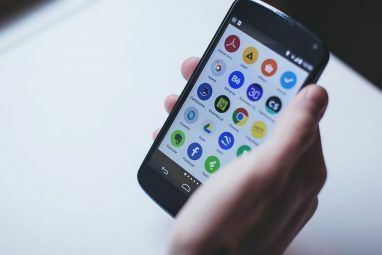 The king of Linux distributions has come a long way since its inception in 2004, so let's look at how it has developed differently to Debian, the distribution upon... Read More . Debian uses it’s own package manager, DPKG, and APT builds upon DPKG to make it more user-friendly. You can install, update and clean packages with APT, as well as find new packages to install. The packages you can find are dependent on which PPAs you have enabled on your machine What Is An Ubuntu PPA & Why Would I Want To Use One? [Technology Explained] What Is An Ubuntu PPA & Why Would I Want To Use One? [Technology Explained] Read More . You can use the apt-get command to install, update and clean the packages that are available to your system. APT uses a local database of packages, which tells the system if any updates are available. Hit — This means there is no change to the package since the last check. Ign — This means the package has been ignored, either because the package is so recent that there’s no need to check it, or because there is a small error. Either way, this is nothing to worry about. Get — This means there is a package update available and APT will now download the details for this update, but not the update itself. Once you have updated your database, you can use APT to then update the packages on your system. This will update any applications, and the Ubuntu core system to the latest versions available. This will then update that specific package. This can be useful if there is a known bug with a certain package, yet you want to still upgrade others. In addition to performing the function of upgrade, dist-upgrade also intelligently handles changing dependencies with new versions of packages; apt-get has a “smart” conflict resolution system, and it will attempt to upgrade the most important packages at the expense of less important ones if necessary. So the dist-upgrade command may remove some packages. Because dist-upgrade can remove packages as well as update them, it is generally recommended that this command isn’t used unless absolutely necessary, or when doing an update to the latest version of Ubuntu. Remember to always run a backup How to Make Data Backups on Ubuntu & Other Distros How to Make Data Backups on Ubuntu & Other Distros How much sensitive data would you lose if your disk drive died? Naturally, you need a backup solution, but making backups in Linux can be tricky if you don't know what you're doing... Read More prior to any dist-upgrade. It’s very important to run an update before an upgrade when using APT, but some people may find running multiple commands frustrating. However, you can combine commands in Ubuntu so that one command can run two functions. This command is basically telling APT to run an update and say yes to any prompts, then run an upgrade and again, say yes to any prompts. This will completely automate the update and upgrade process. APT is also very useful for finding new packages. Although there are better ways of searching for new packages in Ubuntu 5 Great Tips for the Ubuntu Software Center [Linux] 5 Great Tips for the Ubuntu Software Center [Linux] Read More , the apt-cache command does come in handy when looking for a specific lib or package. As you can see from the output above, the search feature is fairly verbose and will allow you to search for terms, rather than package names, so you don’t have to know the name of the package you’re searching for. Once run, this command will show information such as version numbers and dependencies. This information can be very useful when it comes to installing new packages. Like sudo apt-get update, the install command from APT is probably one that you have come across before when installing new applications with Ubuntu and APT. This guide merely touches the surface of what you can do with APT. It’s an extremely powerful tool that is at the core of Ubuntu, as well as many other distributions. 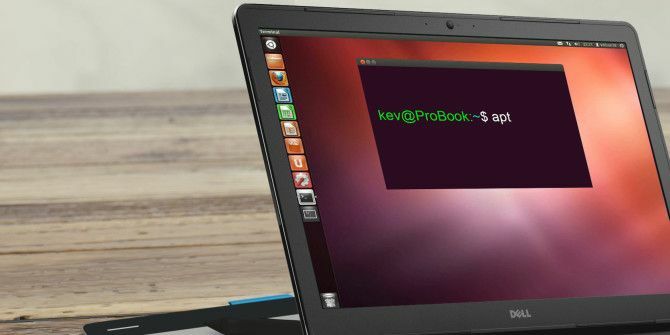 Are you a terminal user, or do prefer to stick with the Ubuntu Software Center? Feel free to share your tips in the comments below. It is important to have a guide for those of us who always forget what the commands are. The apt program is robust, whereas some things that build on it, like synaptic, may not always work. But why are there so many packages in the library?